After talking to Kanani today, Casey is accumulating more and more nicknames. I think we'll always call her Slugger, but since Scottie won't let me call her princess..."sunshine" will be my substitute endearment. "Kala" if you want to be sovereign. And she is the sunshine in my days. Casey has been picking up steam. 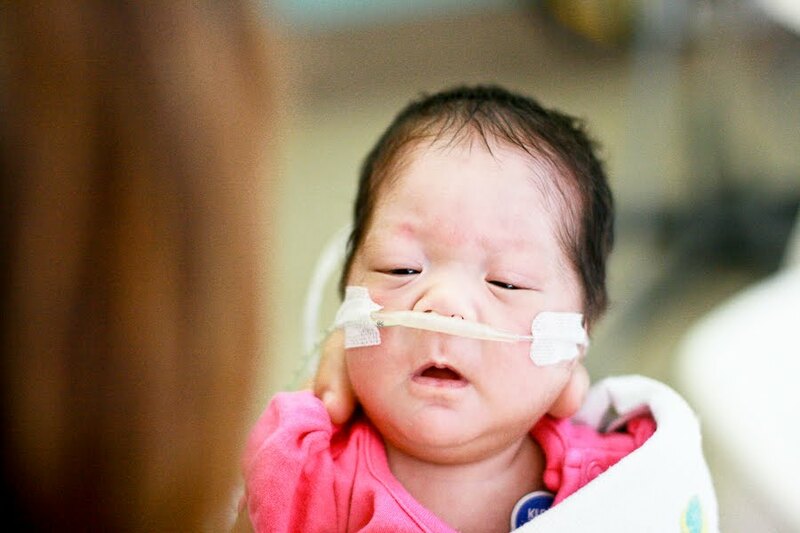 As of yesterday, she has started taking half of her meals by bottle instead of feeding tube. That's 4 out of 8. They've also lowered the pressure on her cannula from 3.0 Liters to just 1.0 Liter. We've also been trying to nurse once every day to see if she catches on. Every day is different. Yesterday, she was a champ. Last night and today, she was tired out and struggled to finish her bottles. It's a balancing act of trying to ask her to do more and lessening the help she gets. We had some gagging/choking episodes during last night's feed. When she gets tired, she's more likely to choke or pause her breathing. It's the longest seconds ever and it's absolutely horrible. This is one of Casey's many extraordinary nurses, Leila. Leila is a higly energetic, sweet nurse who loves to talk to the babies...a lot. I think when Casey comes home she is going to be hearing Leila in her sleep. I think we might too. Here's Leila chatting with Casey. I grabbed the chance to bring my camera in and get some great face shots of Casey. The last pic is one of my fave. Casey has a lot of friends in the NICU, other babies whom we have become familiar with. Casey is one of the few long-timers. Most babies are in for just a few days of monitoring so Scott and I get a little attached to the ones who stay longer. We get sad when they are moved to a different room and we don't get to see them or chat with their parents anymore. I just read on fb from another preemie mom that her baby boy, who we thought might be Casey's high school prom date one day, will be going home soon. We're so excited for him and his family, but Casey's little group of friends is going to get a little smaller. I often think how weird it is that these babies will grow up never knowing that they were side by side for a month, growing up in the NICU together. I wonder if they'll ever meet by chance...or even pass each other randomly on the street. Thinking nothing of it without ever knowing that they were roommies in the very beginning. I also think of other families that have been brought into our circle and their children have become a part of Casey's circle. 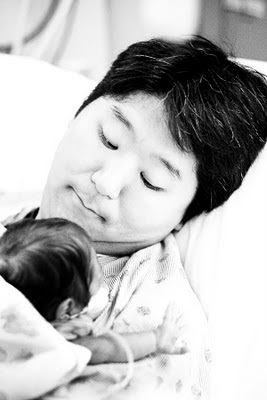 When we first gave birth, Russell Kimura emailed us a link to a blog of another little girl born extremely premature. The days were chaotic so we only glanced at it. It was a whole month later when two of the nurses, Arlene and Gina, both brought up the very same family and blog. We just had to check it out since everyone seemed to know this little girl. 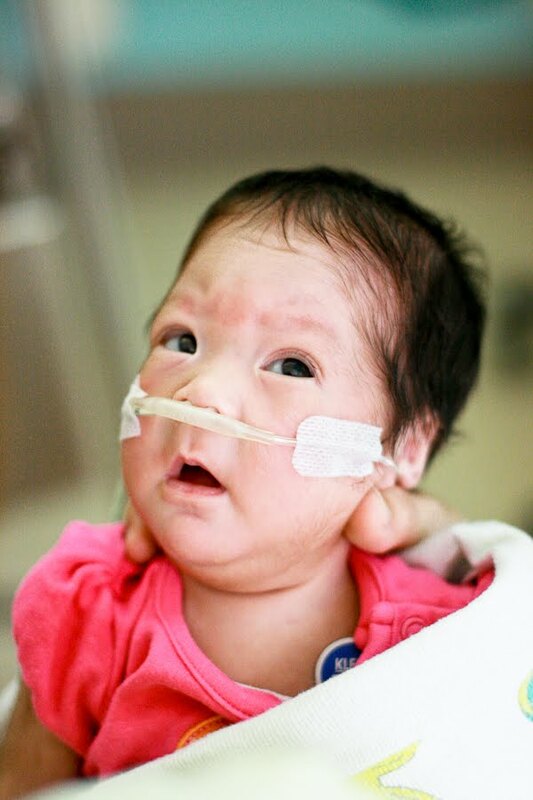 Reece was born at 1 lb 4 oz at 24 weeks gestation and her blog follows her journey this past year. She also struggled with oxgyen like Casey so I could read what the next few months might be like for us. Reece just turned 1 yesterday!!! After hearing about Reece and her mom, Jessica, for so long, we finally got to meet them today and joined them and other friends for lunch today. It was awesome to hear encouragement and just have someone who understands the language of a preemie baby. And to see Reece, who is cute as a button and studies you intently with these eyes that just take everything in. And now in our thoughts is a little boy named Micah. We haven't met little Micah yet, and he's only a week old. But today we prayed with his father at church. His father who stood there broken and open. I only want to share minimal details, it's not my story to tell. 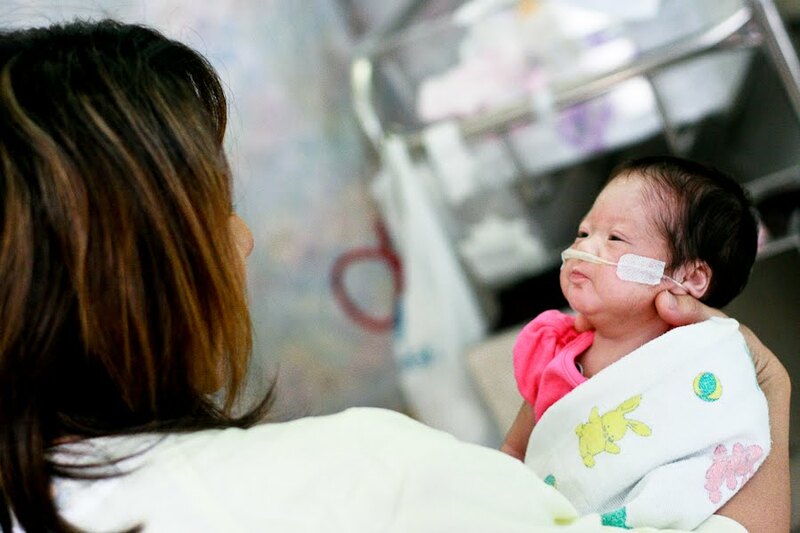 Micah was born a week ago and MRI scans revealed that he had suffered a stroke in utero. A blood vessel had burst in his brain and they won't know the true extent of damage done...they can only watch and pray. Tears just started flowing as Micah's dad choked out the details and all I could do was hug him and say "I'm so sorry. It's not fair." Every child, every life is a different story. Even with all we've been through, I can't imagine what this family is going through. Honestly, after all we've lost, I want this prayer answered...I want to witness the miracle of this boy's healing. I want all of these babies to grow up, to play hide-n-seek together, to torment the workers in the children's church nursery every Sunday. I want Casey to grow up healthy and strong...but I also want Casey's friends to grow up with her healthy and strong. I want it all, God. When people say they don't care if they have a boy or girl, that they just want the baby to be healthy...that's not just a politically correct statement. Can we please pray for Micah? I admit, I've been struggling with prayer the past two months. But this family needs support, needs healing. I can do nothing but pray for them. I'll definitely keep Micah in my prayers, as well. I stand in partnership and agreement with Keao as we come before you and ask for your mercy in healing Micah completely. Comfort his parents and let them know from whom the comfort and assurance comes. Lord, you are merciful and gracious, may this miracle of healing bring you glory....may Micah grow up to be an awesome man of God. In your precious name, I humbly pray..Amen. It's been an up and down Sunday hasn't it. God is still faithful and good. Can't believe how much she's eating nowadays.